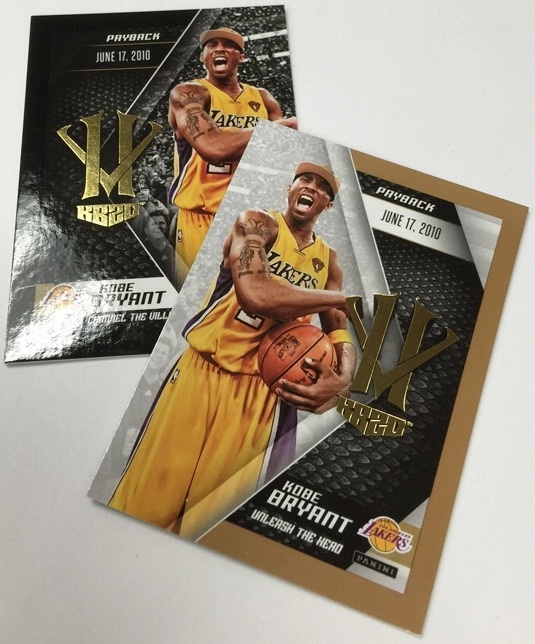 Sending off the NBA legend, cardboard style, 2015-16 Panini HeroVillain Kobe Bryant Basketball presents a dual look at the Lakers great. Each box offers a pair of 21-card sets that come in separate black and white packs, as well as a five-card parallel pack. 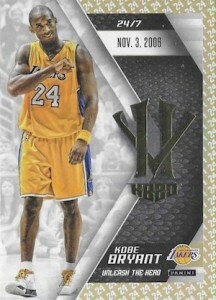 Stamped with Kobe's gold "HV" logo and adding KB20 under that to honor his time in Los Angeles, each card speaks to the career of the athlete that was loved and hated by many fans of the game. Handpicked by Bryant, the first half of the set is a 21-card pack that contains key moments from Bryant's career, including his farewell season. Adding to that are 21 additional cards that offer commentary about those moments direct from the icon himself. 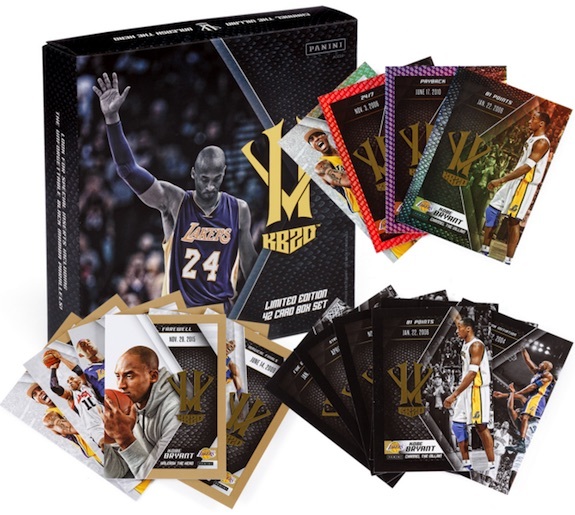 A separate five-card pack provides several limited parallels, including Black Mamba, Blue O'Brien Trophy, Gold Twenty Four, Purple Eight and Red MVP. There is also a shot a rare Autograph parallels that are part of the 21-card set. These feature on-card signatures. 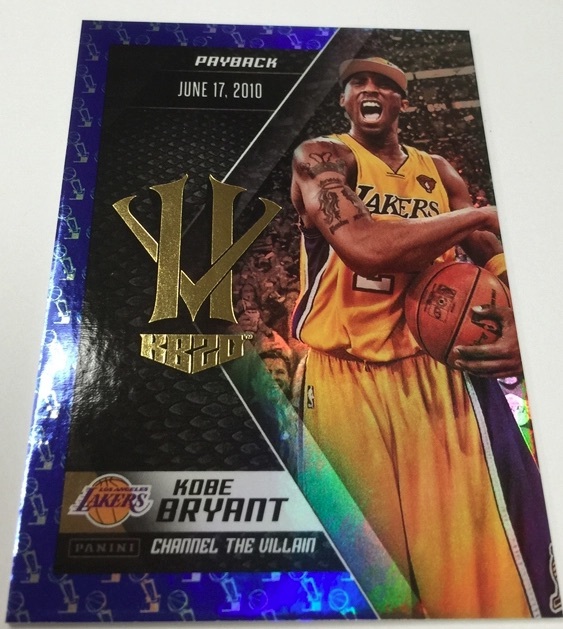 2015-16 Panini HeroVillain Kobe Bryant boxes retail for $49.99. 42 cards. Shop for base sets on eBay. PARALLEL CARDS: Purple 8, Red MVP, Blue O'Brien Trophy, Gold 24, Black Mamba. What a stupid name! 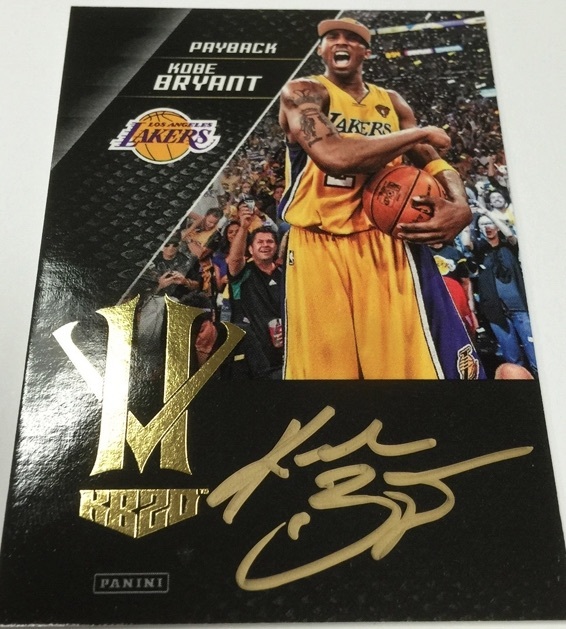 Another set of cards to flood the market with Kobe autos. 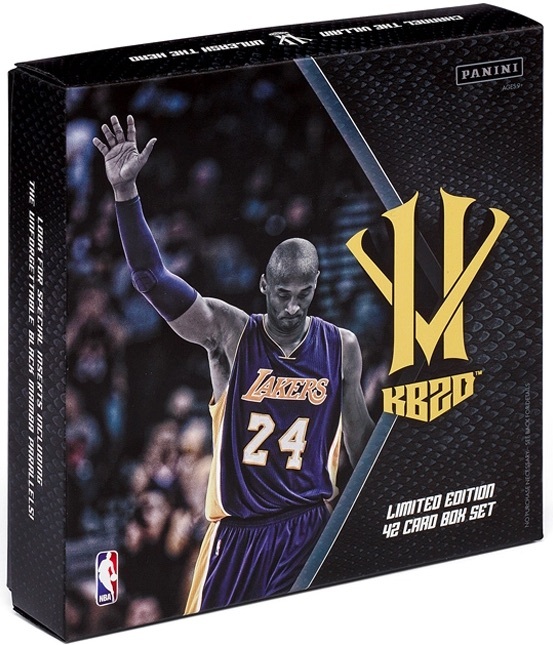 2015-16 PANINI KOBE BRYANT HERO VILLAIN FACTORY SEALED BOX SET - AUTO AUTOGRAPH? Kobe Bryant Auto Box Topper 15-16 Court Kings 15 24 Le Cinque Piu Belle RARE!! !